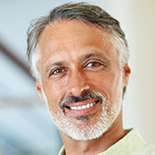 Since 2002, Kelly has offered patients excellent, detailed care. She loves working with people, building relationships with her coworkers and patients, and helping people achieve their smile goals. Kelly studied at the State University of New York in Brockport and Onondaga Community College. 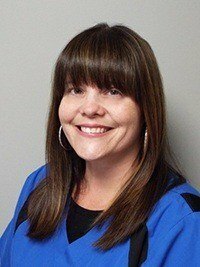 She was certified in dental hygiene by the North East Regional Board of Dental Examiners, and also maintains certification in CPR and OSHA safety standards. Originally from Syracuse, Kelly is happily married with two wonderful children, and two dogs. She loves spending time with family and friends, and especially travelling to warm, sunny locations. Her family’s favorite destination is Aruba, but they also enjoy Disney vacations, family weekend trips, and family golf outings. Kelly loves staying fit and was once a level 10 USAG gymnast. 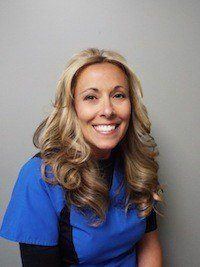 Patti has been a hygienist for more than 30 years and remains as passionate about helping her patients as she always has been. She previously studied at SUNY Canton and SUNY Onondaga Community College. Patti and her husband have four children together, and when she’s not at the office she enjoys skiing, reading for her book club, sewing, and rollerblading. She also enjoys cooking and creating new recipes. Jean joined our team in June of 2016, and she has nearly twenty years of experience in the dental field. As a registered dental hygienist, she enjoys getting to know her diverse group of patients and providing them with education about keeping their smiles healthy and beautiful for life. Jean studied dental hygiene at Onondaga Community College. 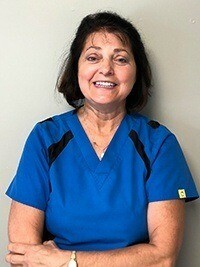 Committed to lifelong learning, Jean is a New York State registered hygienist. 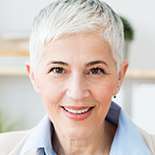 She maintains certification in local infiltration anesthesia, nitrous oxide analgesia, CPR and defibrillator resuscitation for patients of all ages, first aid, OSHA, and infection control. She also has advanced training in a number of areas, including laser periodontal therapy, Perio Protect, Zoom! and Boost teeth whitening, Invisalign, neuromuscular concepts through the prestigious LVI program, and Dr. Rondeau orthodontic certification. Jean grew up in Syracuse and she currently calls Canastota home. She is married with a daughter and son. When she has free time, she enjoys doing archery, snowmobiling, swimming, going to the ocean or Adirondacks, and listening to live music. Jean especially enjoys doing anything with family, good friends, and good food. 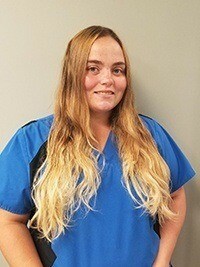 Marlee joined our team and the dental field in 2018 as the hygienist assistant. She loves working as a member of a supportive and fun loving team who are dedicated to helping patients. 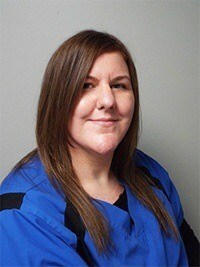 She studied dental assisting through OCM BOCES, and Marlee maintains certification in CPR for patient safety. Originally from Delphi Falls, New York, Marlee and her husband are the proud parents of two sons and two daughters. When she has a spare minute, you’ll find Marlee spending time with her family, swimming, doing DIY craft projects, studying astrology, binging on Shark Week programs, cooking and baking, or planning awesome parties. 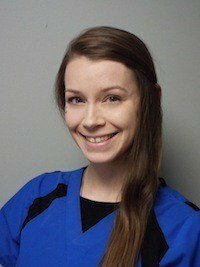 Emily joined our team in 2018 as a dental assistant for Dr. Rinoldo bringing more than five years of dental field experience to our office. She loves helping patients build their confidence to speak and smile in every situation without feeling self-conscious about their teeth. 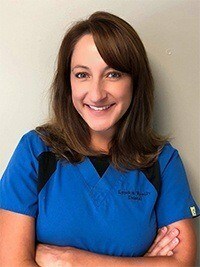 Emily studied at the Dental Assisting School of Syracuse, and she maintains certification in CPR. She is also certified in infection control by the Dental Assisting National Board. A Syracuse native, Emily enjoys spending her free time with her family and friends, especially her beautiful daughter. Alissa joined our team in 2016 and she has worked in dentistry since 2014. As a dental assistant, Alissa enjoys helping patients feel comfortable and making every day of work in the office fun and productive for all of her team members. She studied dental assisting at BOCES in Liverpool, NY. She has advanced training in monitoring for nitrous oxide and IV sedation dentistry. A Boston native, Alissa is married, and she and her husband are pet parents to two dogs. When she’s not hard at work, you’ll find Alissa doing yoga, working out at the gym, attending concerts, listening to the Grateful Dead, and spending time with family and friends. She’s also a big fan of road trips and has crossed the country eight times. Since 2001, Christine has offered patients a friendly smile, and made everyone we treat feel welcome and comfortable at our office. Christine loves getting to know patients, and meeting new people every day. She studied at Onondaga Community College, and grew up nearby, in Solvay, NY. Christine’s family is very close knit, and she loves spending time with them especially her god-daughter. When she has the opportunity, Christine enjoys cooking, reading, and watching Investigation Discovery. If you’ve been searching for her on Facebook, you might be looking for awhile. She’s one of the few US adults without a Facebook account. As our billing specialist, Erica is an essential part of our front office team. What she loves most about our office is the laid back atmosphere and emphasis on family. Before entering the dental field, she earned a B.A. in psychology. After hours, Erica enjoys singing, coaching sports, watching TV, and spending quality time with her son. 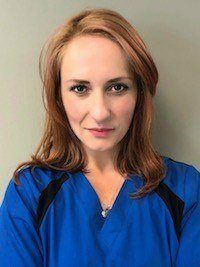 Emina is relatively new to the dental world and says the best thing about her job is learning constantly while getting to help our fantastic patients. 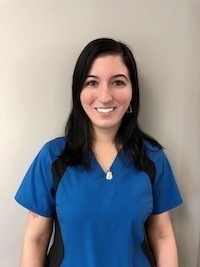 She joined our team as a dental assistant in 2018. Emina went to Proctor High School and is a certified patient care assistant. Originally from Bosnia, Emina enjoys listening to music, singing, and dancing as well as tennis, nature, running, and spending time with kids.